Are Insulation Companies in Nashville, TN, Worth It? There are many insulation companies in and around Nashville, Tennessee, and selecting from the long list of options can prove difficult. Plus, with numerous how-to articles out there, it may seem like adding insulation is a simple project you can do yourself without bringing in the professionals. If you’re on the fence about whether or not to hire one of your local insulation companies to complete your home improvement project, here are some things to consider. 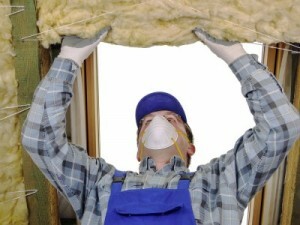 Batt insulation is a common option for homeowners in Nashville, TN. This type of insulation comes in long rolls that are easy to handle and can be cut to fit the dimensions you need. However, you’ll still need to figure out what level, or R value, of insulation you need, how much to put down, and where exactly to put it. Proper installation is essential in ensuring you reap the energy efficiency benefits of your insulation. There are other types of insulation as well, and many companies now offer spray foam insulation, which can provide more effective and longer-lasting performance. Because sprayed foam can fill in even the smallest nook or cranny and dries into a solid substance, it is one of the most efficient options available. Additionally, as an inert substance, it is not prone to moisture damage or mold and mildew growth. However, spray foam requires specialized equipment and more technical skills to apply it properly and evenly, making it more worthwhile to call on the professionals to get the job done. Insulation companies are the way to go if you’re unsure of your insulation needs or are interested in spray foam insulation for your home. Of the many insulation companies serving the greater Nashville, TN, area, there’s only one name you need to know – 31-W Insulation. We have been providing top-of-the-line insulation products and professional installation services since our founding in 1972, and have an unsurpassed level of expertise when it comes to improving the energy efficiency of homes throughout the region. If you’d like to learn more about how 31-W Insulation stands out among insulation companies in Nashville, TN, contact us today.